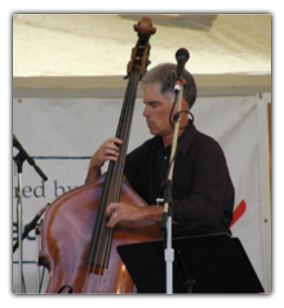 Craig Snazelle's jazz education includes lessons/study with SF Bay Area bassist Chuck Sher, (John Hendricks), Los Angeles bassist and former Portlander Jamie Faunt (Chick Corea, John Klemmer), and since moving to Oregon, with bassists Glen Moore (Oregon), Tom Wakeling and Larry Zgonc, (Principal Bass, Portland Opera Company). Notable Portland players Craig has worked with include; Pianists Gordon Lee, Bill Beach, Phil Goldberg, and George Mitchell. Singers Shirley Nannette, Karla Harris, and Victoria Corrigan. Saxophonists Bob Hernandez, Lee Wuthenow, and Pete Peterson. He has performed locally at the Portland Jazz Festival, Mt. Hood Jazz Festival, Newport Coast Jazz Festival, and Cathedral Park Jazz Festival.